This article demonstrates Button-worked WebView In Xamarin.Forms applications. This article demonstrates Button-worked WebView In Xamarin.Forms applications. Xamarin is a platform that allows us to create a multi-platform mobile application for platforms, like Windows, iOS, and Android through a single integrated development environment (IDE). 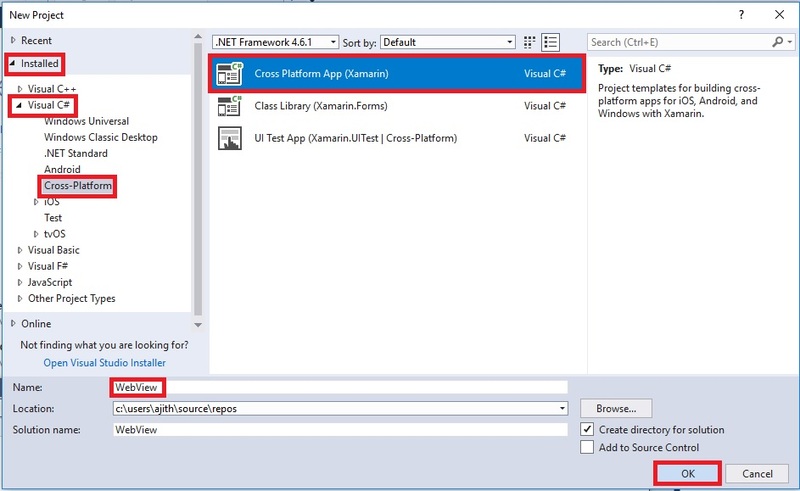 Open Solution Explorer >> Project Name (Portable) >> MainPage.xaml. Double click on the left pane and open the design view of this page. We are creating a button inside the StackLayout and WebView as well as Scroll View inside the StackLayout. 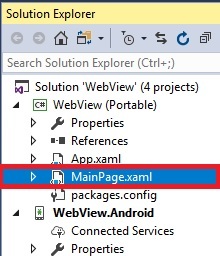 Open Solution Explorer >> Project Name (Portable) >> MainPage.xaml.cs. Double click to open the design view of this page. Button-worked WebView is created using this code. Give your own link in the code. Next, select the "Build & deploy" option, followed by selecting from the list of Android Emulator or Simulator. You can choose any API (Application Program Interface) level emulator or simulator to run it. Click the "Click" button. The WebView is displayed. Finally, we have successfully created a Xamarin.Forms Button-worked WebView.